Once you have placed an order with us for invitations we realised that many of you asked if we supplied invitation proofs. We are always happy to oblige and have done so upon request. But to make things easier we have now added a drop down menu to the invitation pages so you can choose if you want to receive a proof. quantity selection and information in-put area. Choose “Yes” or “No”, if you wish to receive a proof of your invitation. 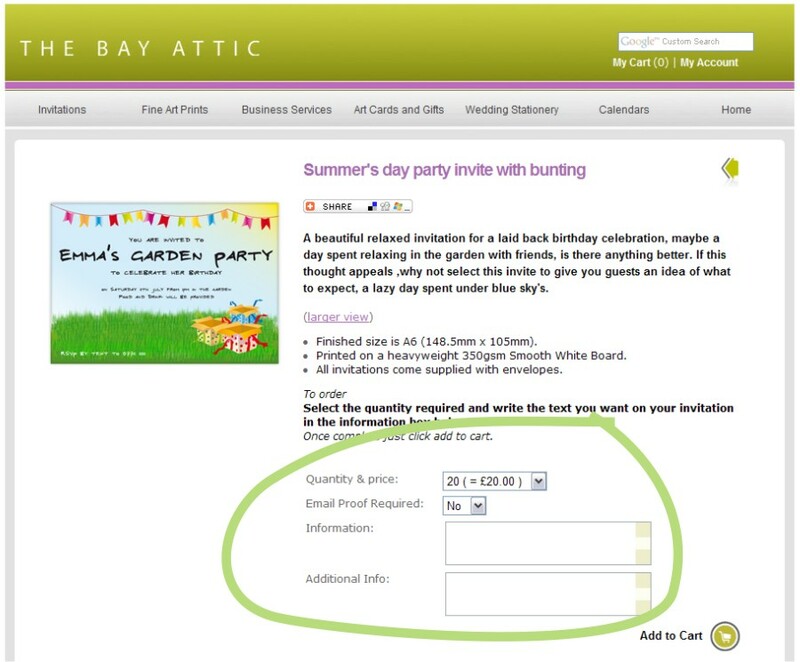 We will then email you a pdf file of your chosen invitation, for you to check before we print it. All you need to do is tell us if you are happy with the proof and we can then send it to print.